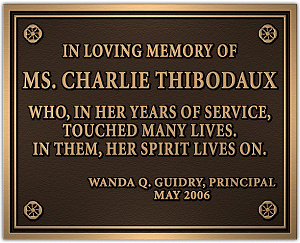 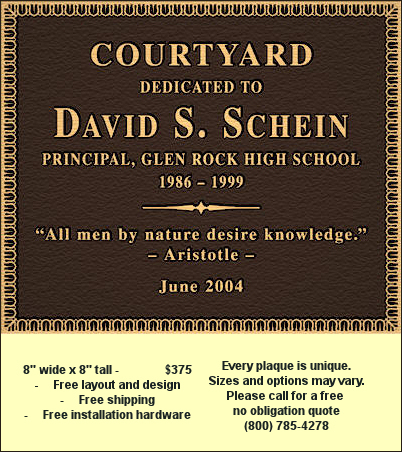 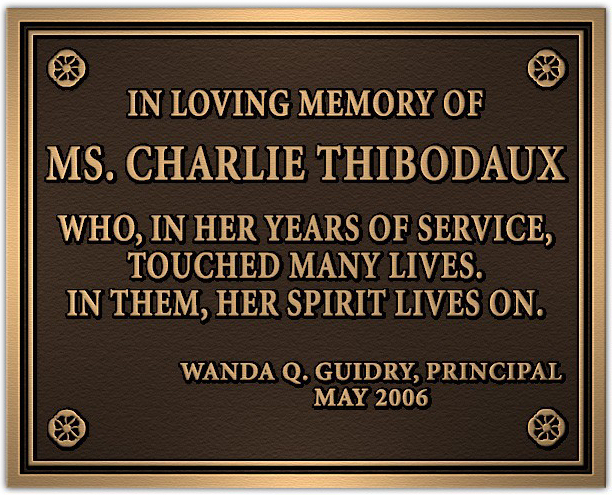 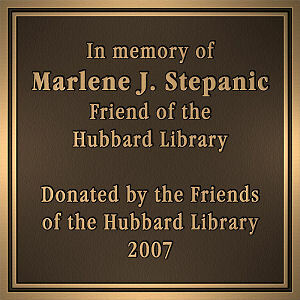 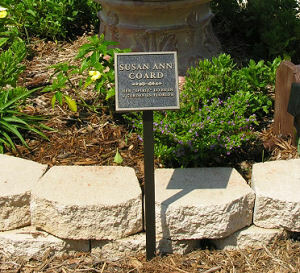 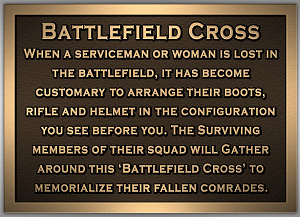 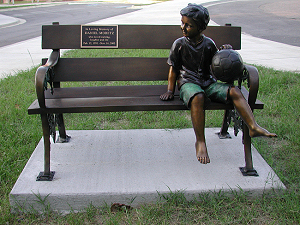 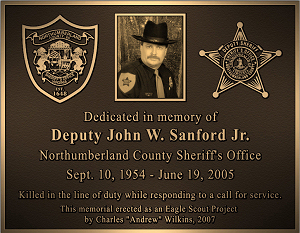 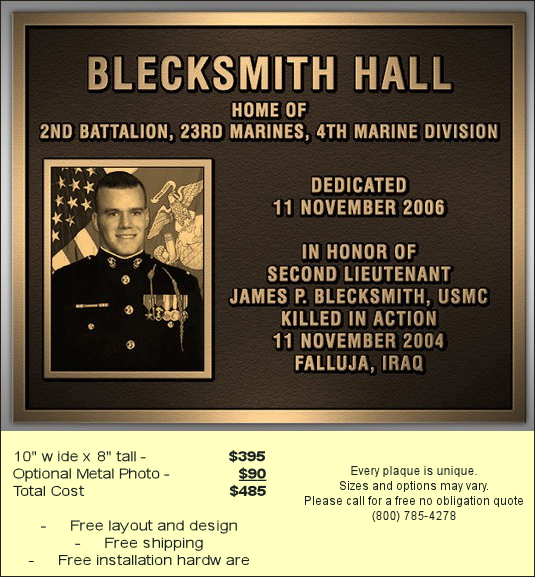 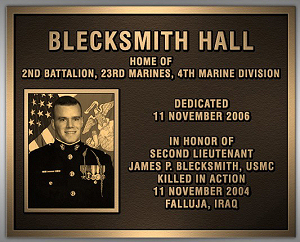 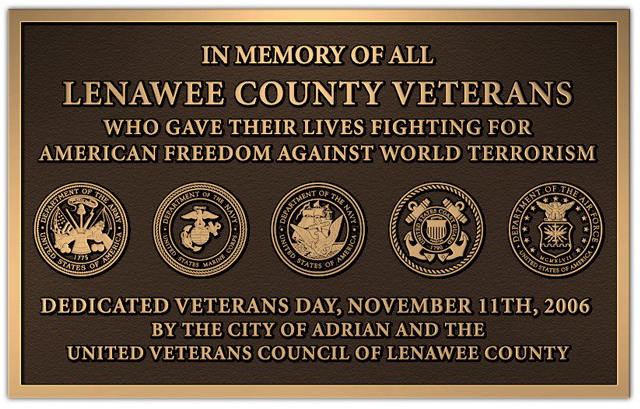 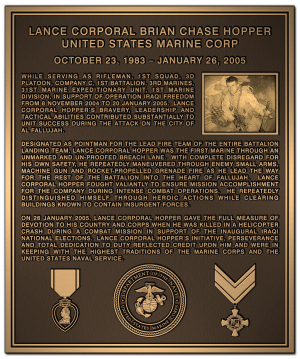 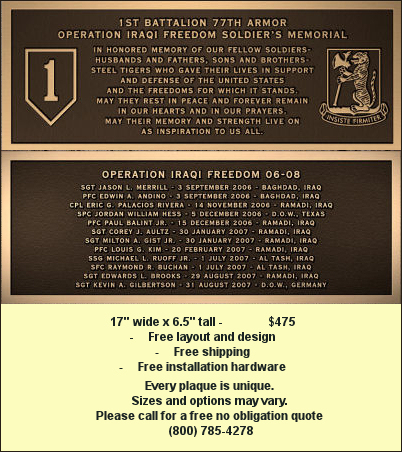 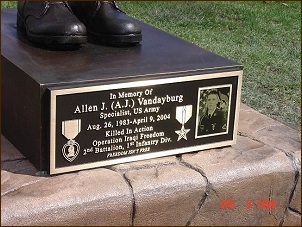 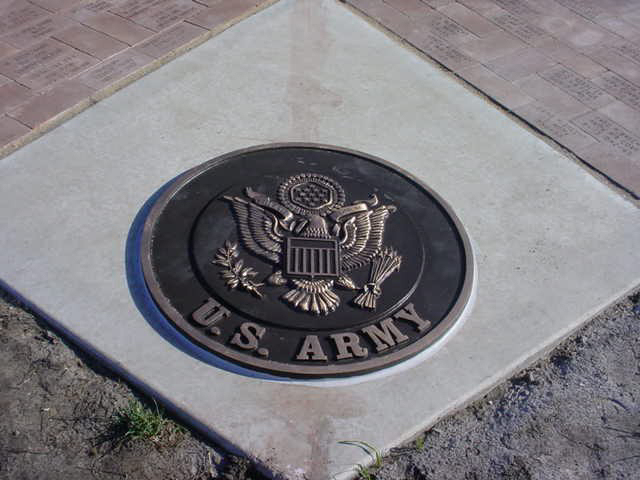 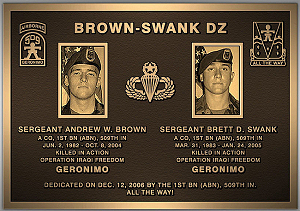 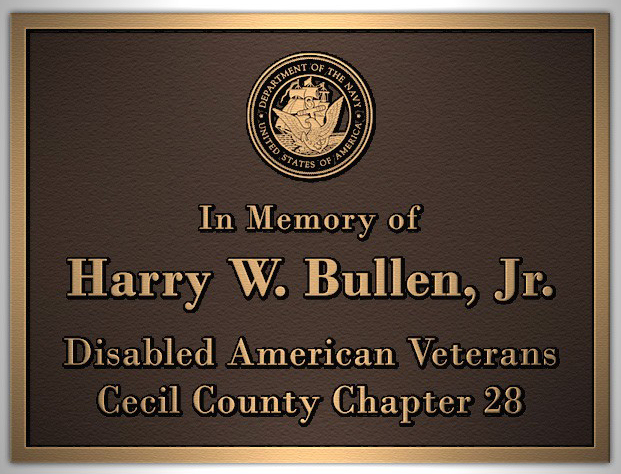 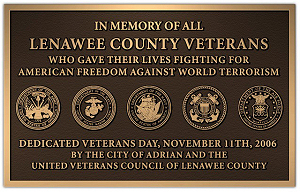 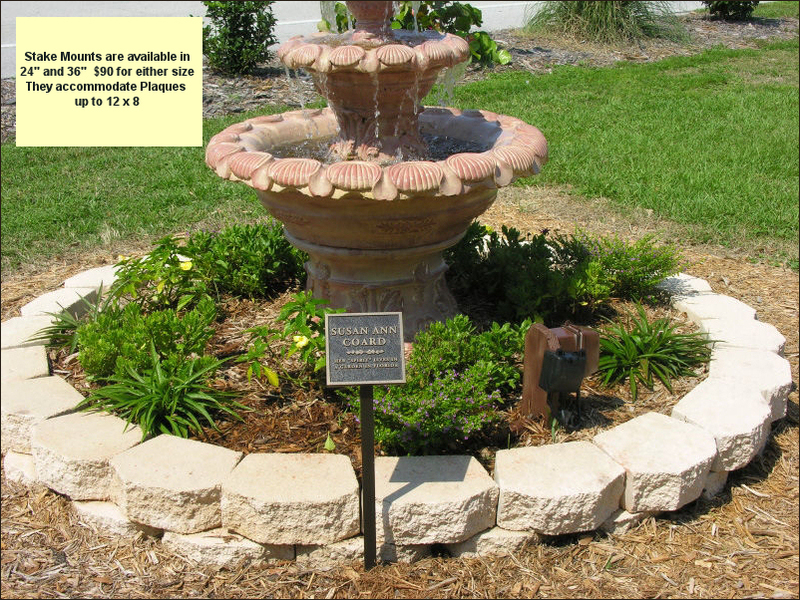 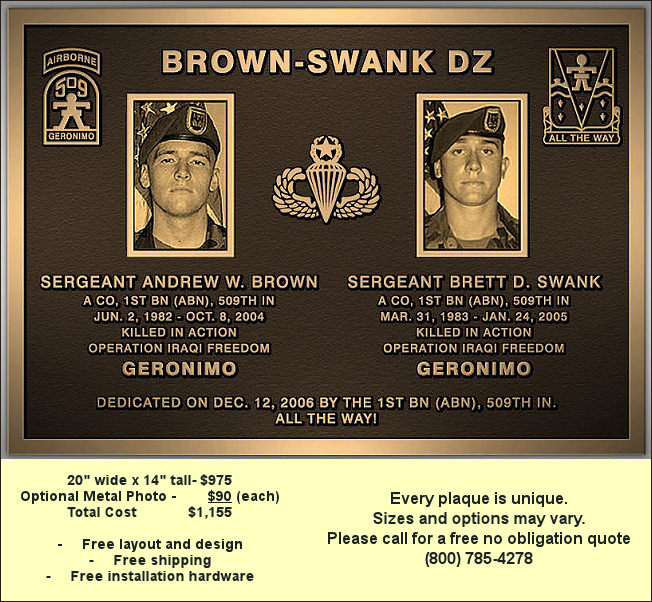 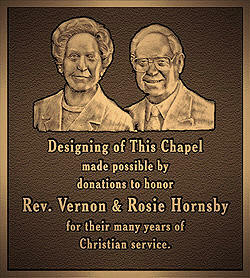 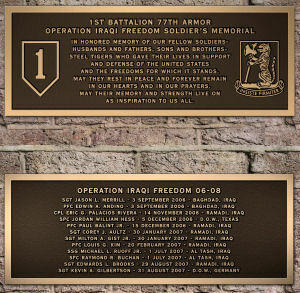 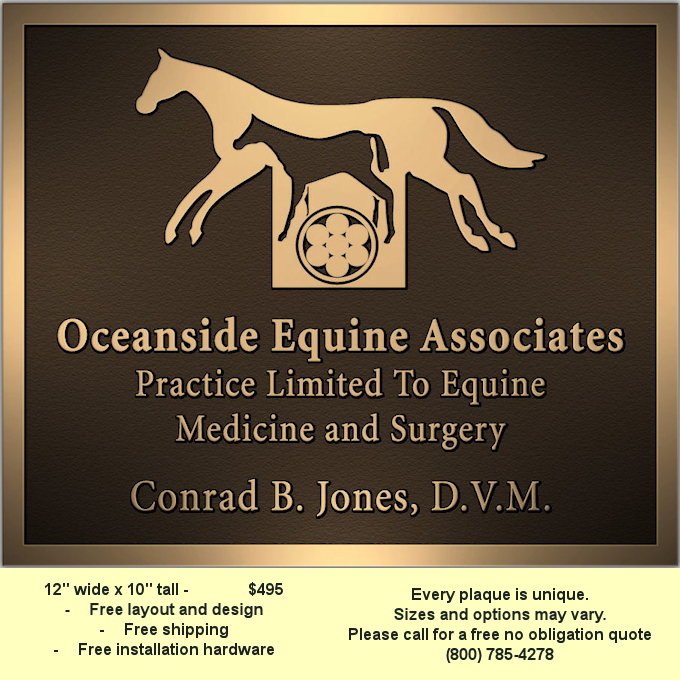 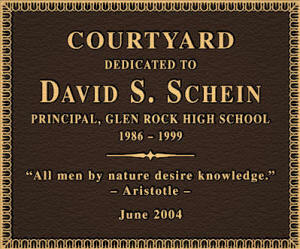 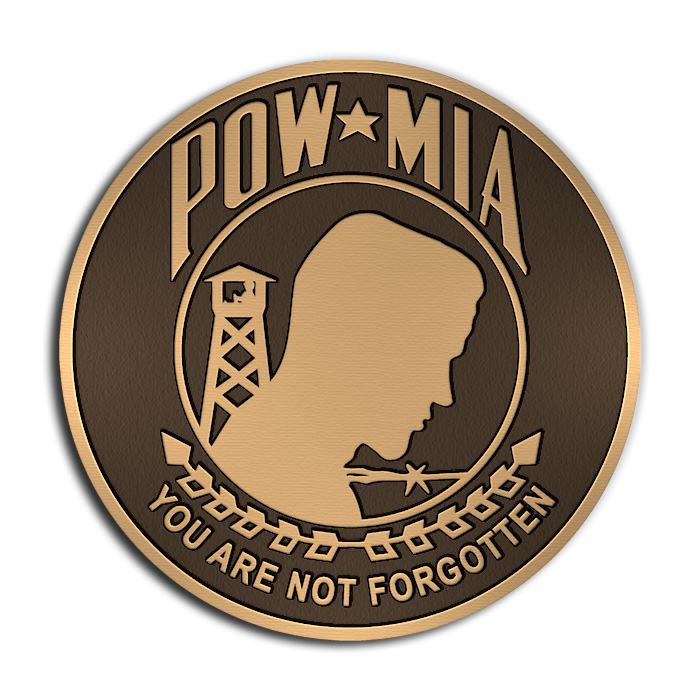 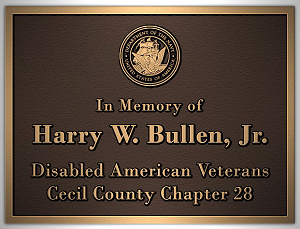 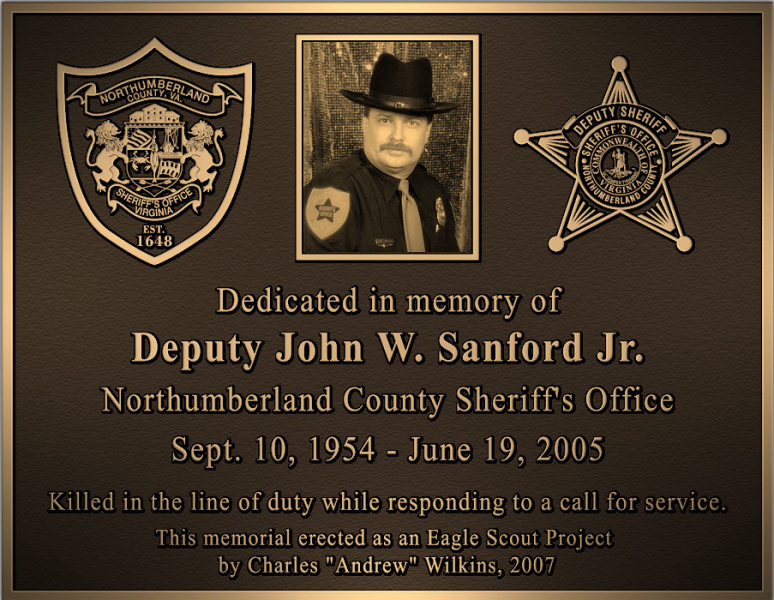 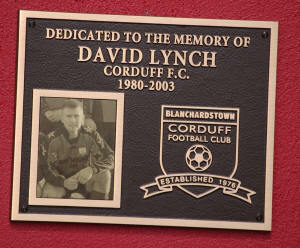 A bronze plaque from The Large Art Company is an excellent choice for a memorial or recognition. 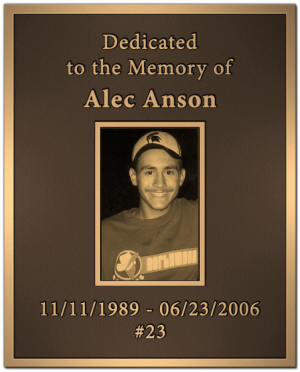 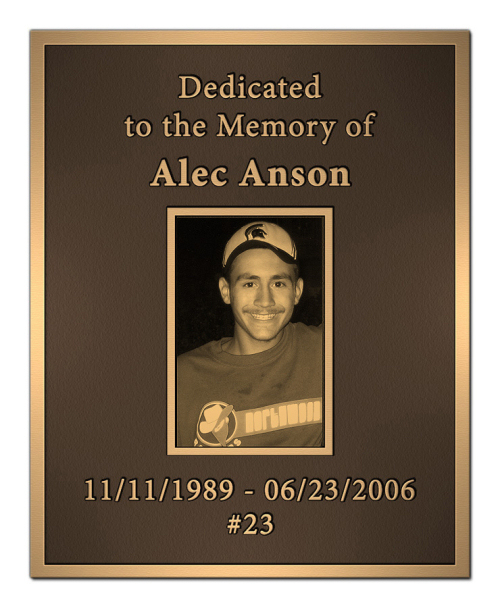 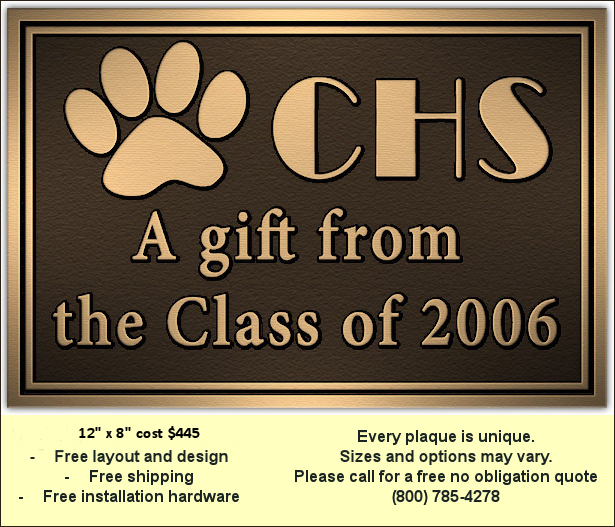 Each plaque is custom made to order any size, boarder or text. 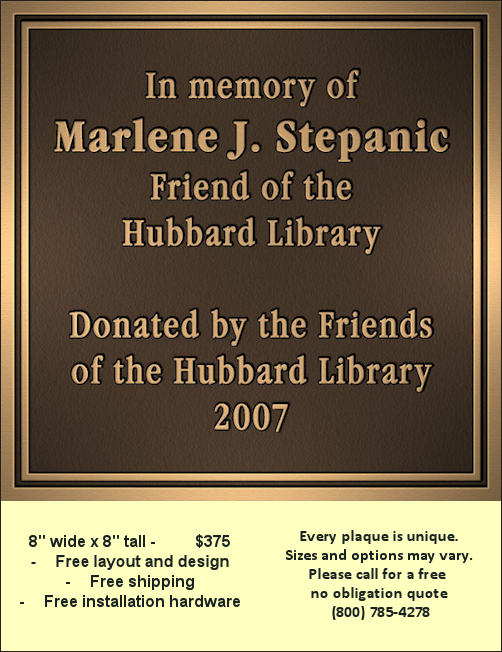 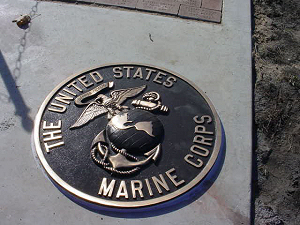 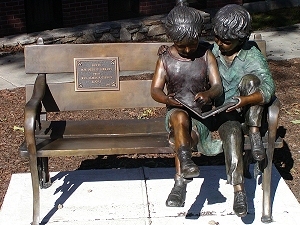 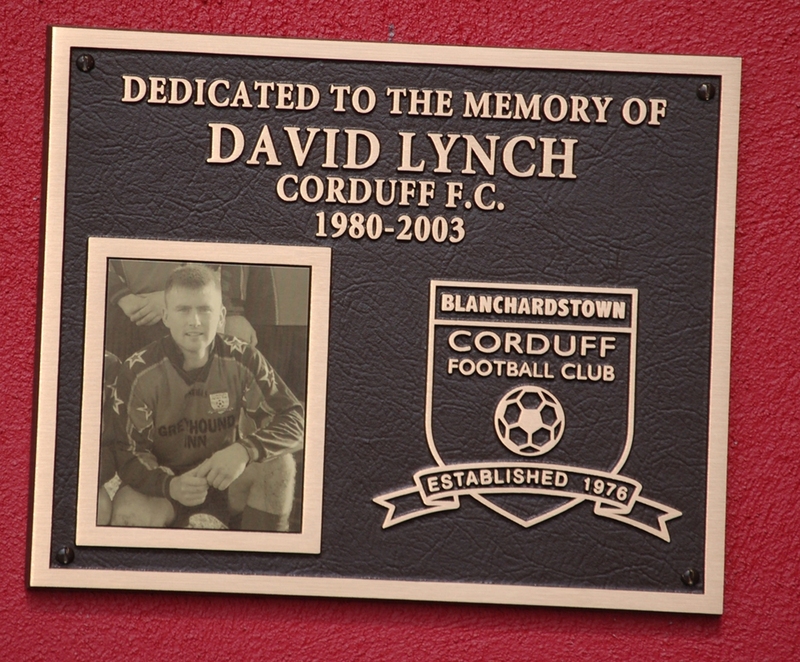 Artwork can also be incorporated into the plaque. 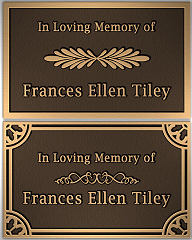 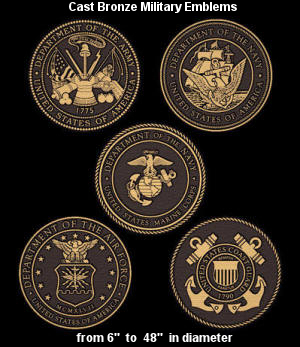 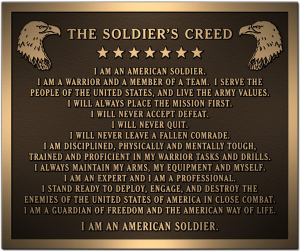 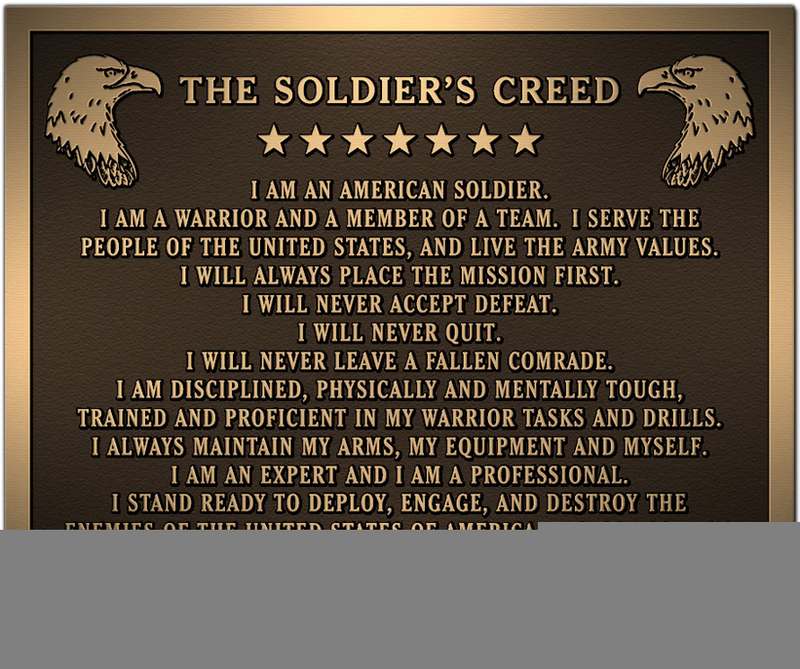 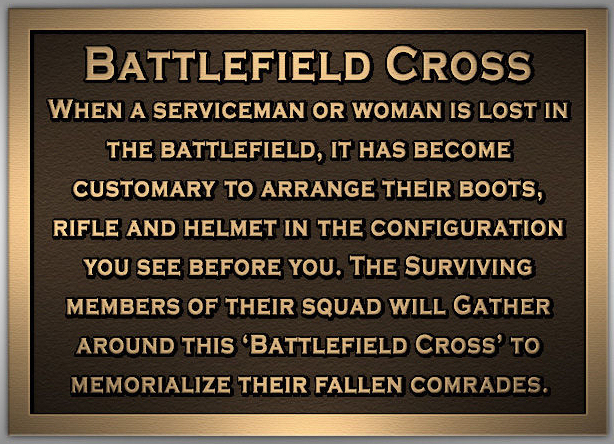 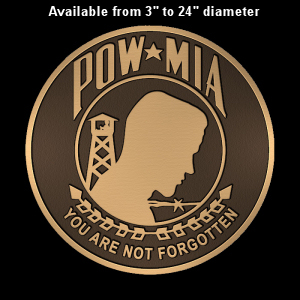 These are real cast bronze plaques like you might see at a historical site and will last for centuries. 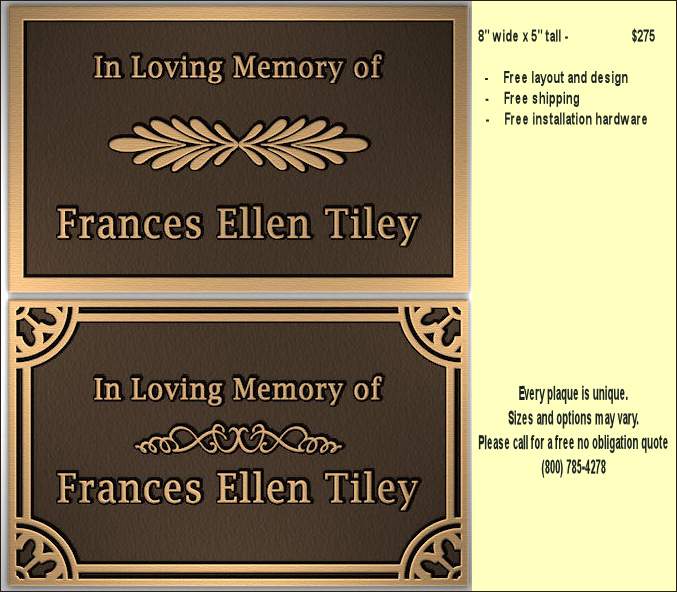 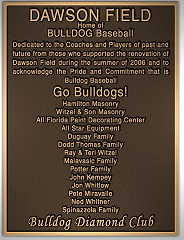 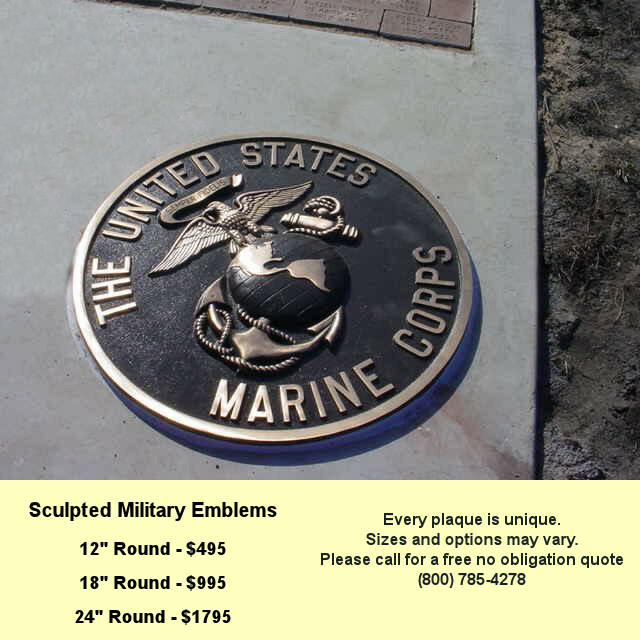 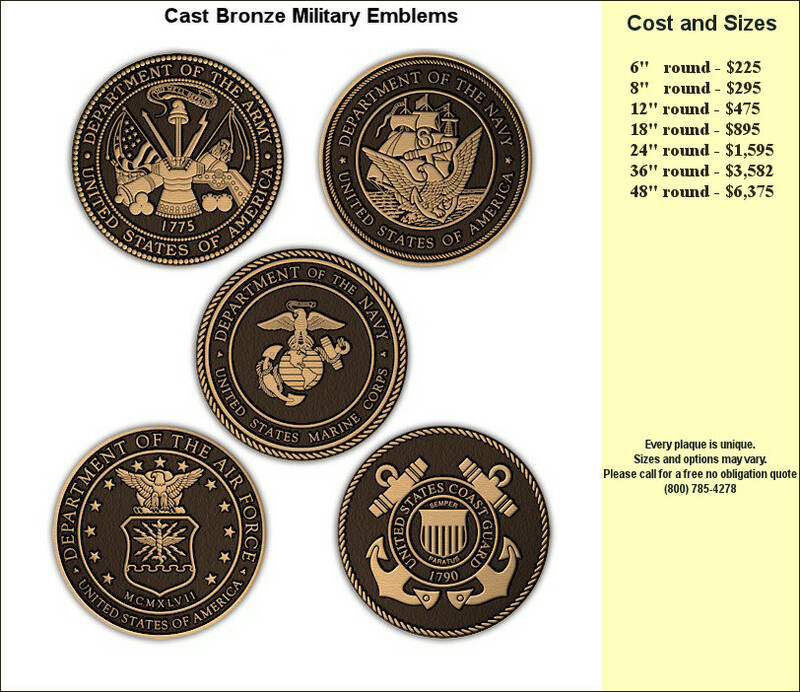 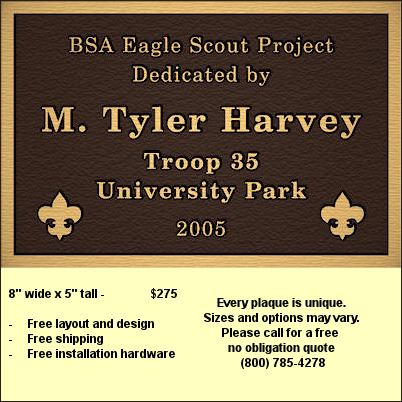 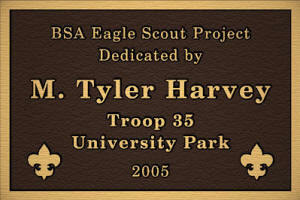 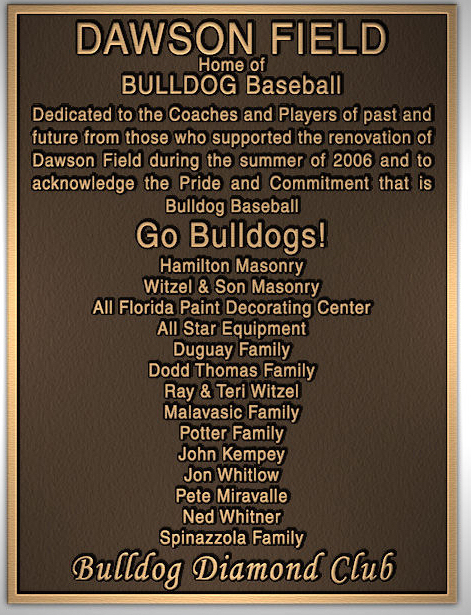 Prices range depending on size and complexity from as low as $200 to several thousand dollars for huge plaques. 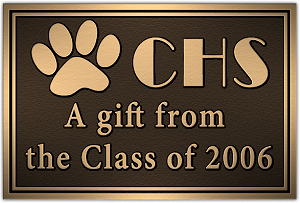 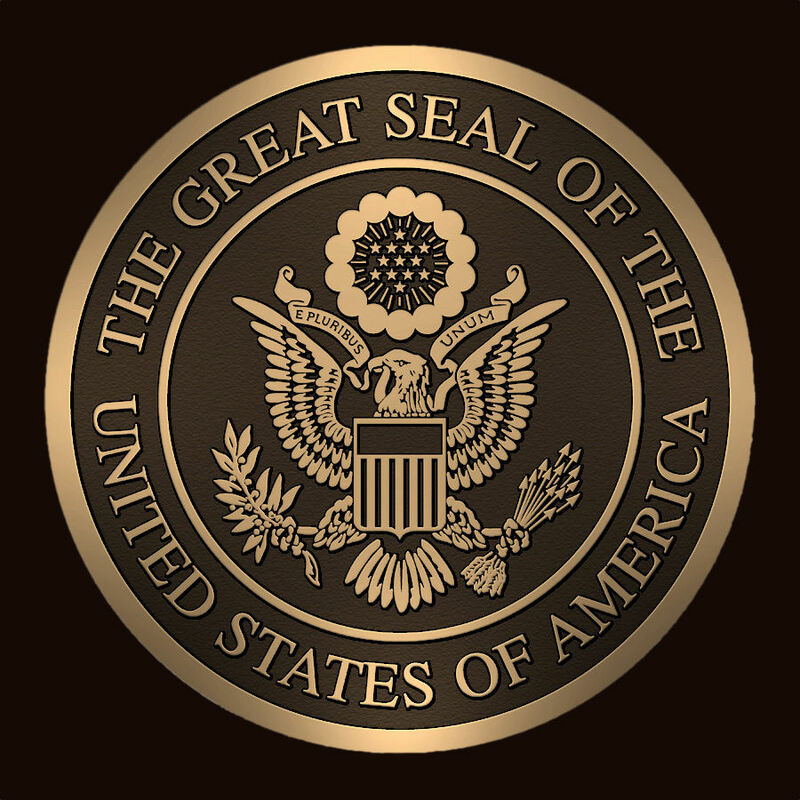 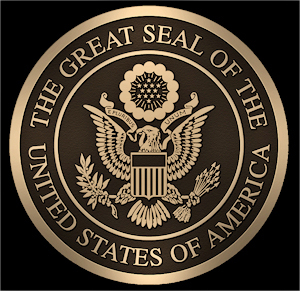 Most plaques run between $200 and $1,000. 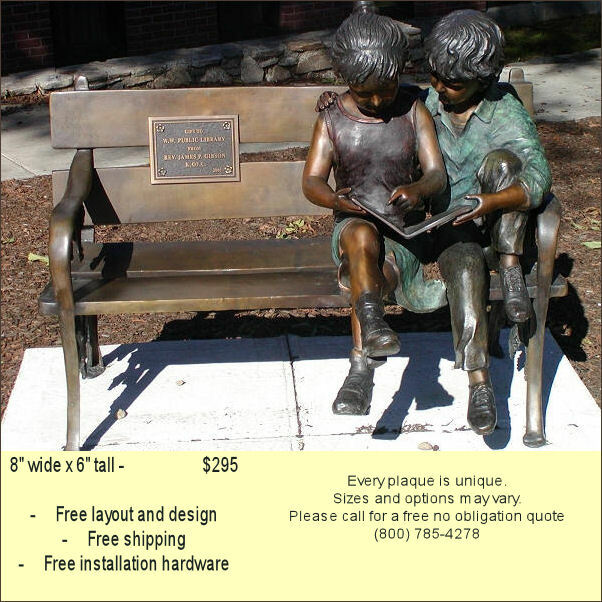 Free shipping and mounting hardware. 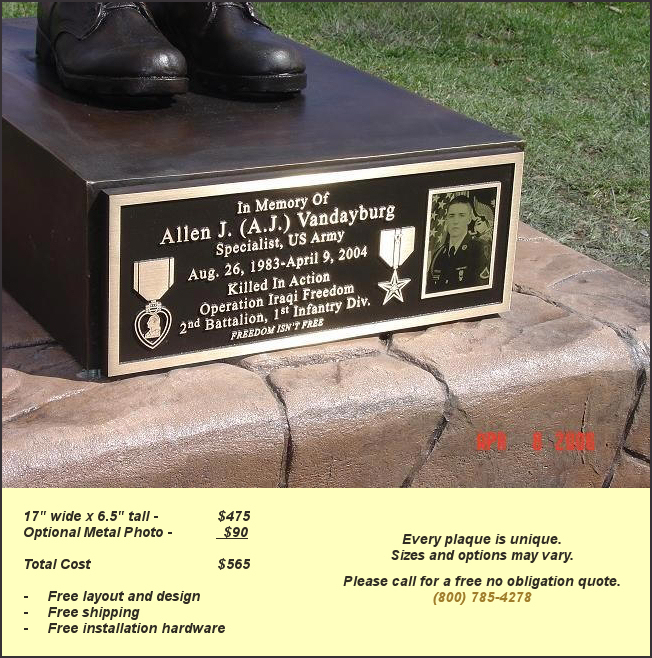 Stake-mounts and post-mounts are also availablefor freestanding display. 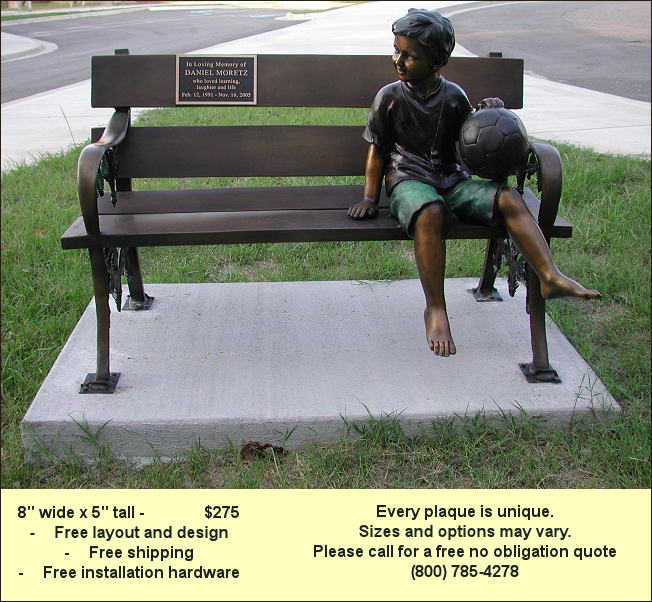 Please allow 4 to 5 weeks for sculpting, molding, casting and delivery. 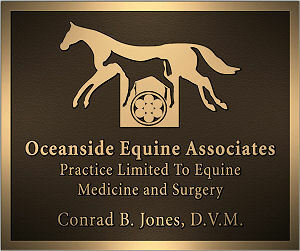 For more information or a free no obligation quote please call or Click here to send us an email.